After years of study and testing, the International Code Council will allow heavy timber buildings taller than 85 feet. Fire tests resulted in minimal damage to this full-scale mass timber apartment mock-up. It’s about to get a lot easier to build high with mass timber. It all started when the American Wood Council (AWC), a trade group promoting the use of wood in construction, approached the International Code Council (ICC) with a request: study tall wood construction. In particular, AWC wanted some scientific rigor brought to the issue that’s often assumed to be wood’s Achilles’ heel: fire. ICC formed the Ad Hoc Committee on Tall Wood Buildings in 2016, and the votes only recently came in. After years of study and testing, the codes will allow construction with mass timber materials such as cross-laminated timber (CLT) for buildings up to 270 feet tall. The changes will take effect with the 2021 version of the ICC building code. 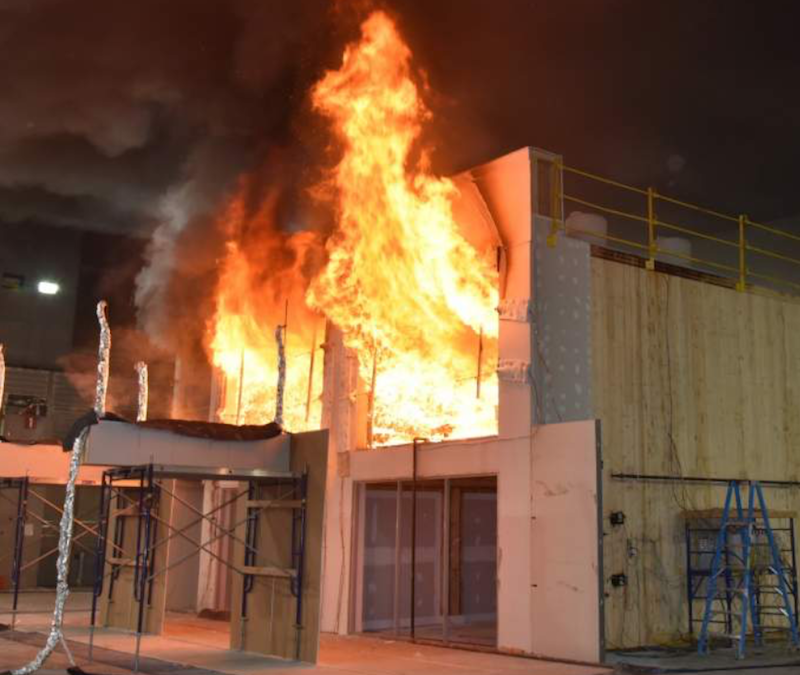 Laboratory tests carried out using ASTM standards have often shown that mass timber materials like CLT char instead of burning, contributing to their safety, but fears remained about how such materials might respond to a real-world fire—including whether adhesives might fail (technically termed delamination). So the ad hoc committee developed a plan. Working with AWC, the committee built and set fire to a full-scale two-story apartment mockup. The results? “No collapses, no structural failures, and the fire was contained within compartments,” said DiGiovanni. Delamination was “minor” and deemed “not an issue,” he added. That said, taller wood buildings (13 to 18 stories) will need to protect mass timber elements with gypsum board, and medium-height buildings (nine to 12 stories) require partial protection. Those up to nine stories can have exposed mass timber that’s designed for two hours of fire resistance. Following the Grenfell Tower fatal fire of 2017, the English Government has amended (regulation 7 of) the Building Regulations 2010, on 18.12.2018 to require all materials used to construct the external walls of new apartment blocks, university student accommodation and care homes, which have more than 6 floors (walls over 18m [59ft] high) to be of EU Class A1 or A2 only. Timber (even fire proofed timbers) are EU Class B when tested at best. I am a Chartered Building Engineer (and UK Building Code Official), with 45 years experience.